"If the concept of masterpiece is often overused and certainly requires time to qualify a record, no doubt that "Lotus" is not far to deserve this qualification." 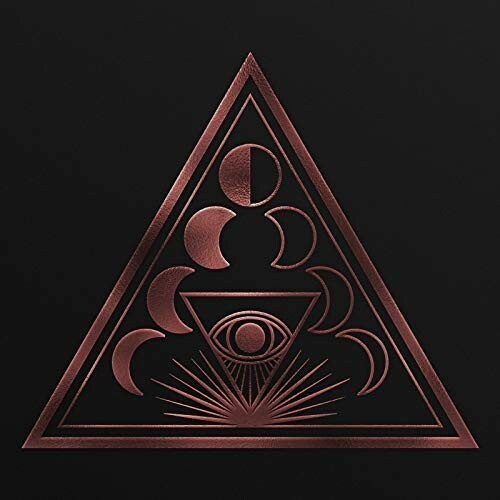 In only three albums, Soen has managed to make a name for himself in the world's progressive metal microcosm, forging an increasingly assertive identity as his discography progresses, emancipating himself from his peers, including Opeth and Tool. If the first album could suffer from a certain kinship with these bands, the Swedes found their singular way in a progressive metal style that needed a new breath. Their trademark is to put at the centre of their compositions the search for emotions, whether they are the darkest, melancholic or more hopeful through their music. The other interest of the band is to propose to the listener mystical themes that serve his songs. If the previous album was inspired by the Lykaias, cannibal and satanic rites of ancient times, the new one is based on the Lotus (sacred). In ancient Egypt, this plant, supposed to retract at night and reappear in the morning, is intimately linked to death and resurrection. The Egyptian Book of the Dead is known to contain spells that can transform a person into a lotus flower and thus resurrect them. In Asia, the lotus is the symbol of purity and spiritual revelation, capable of growing in the most troubled waters. This theme is therefore the appropriate subject on which Soen's music can be based, being made up of antagonistic passages, alternating dark climates and luminous movements. If "Rival", the first single released does not allow us to measure the band's progress, the overall and attentive listening of the album shows that "Lotus" goes even further in the culture of ambivalence. The sound atmosphere is immediately more ample, dense, modern, less vintage and dry than the previous album. The group's evolution is therefore marked by several titles that accentuate this duality. 'Martyrs' is a perfect example with a powerful first half with a Martin Lopez hitting his drum set with surgical precision filled with feeling and a Stefan Stenberg's roaring bass and aggressive electric riffs. This first movement is followed by an atmospheric passage that increases in power until Joel Ekelof's liberating cry, in the manner of Muse, leading to the resumption of the demonic chorus. All the band's work on this new album has been to multiply this ambivalent density on several tracks as in "Lascivious" with brutal verses underlined by the divine drummer's double pedal, a dazzling chorus and an instrumental bridge illuminated by a guitar solo. The dramatic tension is exalted by song lines that are always well written and interpreted by Joël, who does an extraordinary job ('Lunacy'). Soen also has no equal in offering more direct tracks that create deep atmospheres or on the other hand, more energetic and dynamic. This quintessence is achieved by 'Lotus' which, under its floydian mid-tempo appearance, is of boundless subtlety illuminated by a guitar solo leading to an almost gospel choral end. The band continues this ethereal and dreamlike atmosphere with 'River', a track reminding the latest works of Riverside. In the same spirit of seeking efficiency, 'Covenant' takes the opposite approach by embracing an energetic style that will haunt your brains for a long time. Finally, how can we remain insensitive to the Hispanic "Penance" built around a melody that turns into a totally unbridled atmosphere in the middle of the track! If the notion of a masterpiece is often overused and certainly requires time to qualify a record, there is no doubt that "Lotus" is not far from deserving this recognition. Every note, every word, every line of song is thought with a rare intelligence. With "Lotus", Soen takes a new step forward, consolidating her style and personality. The Swedes have just released one of the albums of the year, or even more. Magnifique album tout en délicatesse. La chronique retranscrit parfaitement la qualité de "Lotus" qui montre qu'un groupe est capable de se renouveler et d'assumer une part plus tempérée et plus subtile de son ADN. Comme j'aime ces groupes qui sont capables de proposer autre chose tout en maintenant un niveau de qualité et d'exigence très élevé. Comme j'applaudis Soen d'avoir fait tomber les masques et d'oser affirmer que le djent et la technique sont bons mais qu'une fois avoir fait la démonstration de son savoir faire on peut passer, avec une grande maturité, à la pure expression artistique, dénudée, pure et simplement belle.